This summer, you are invited to join in Ice Cream Workshop at UTCC Food Lab. 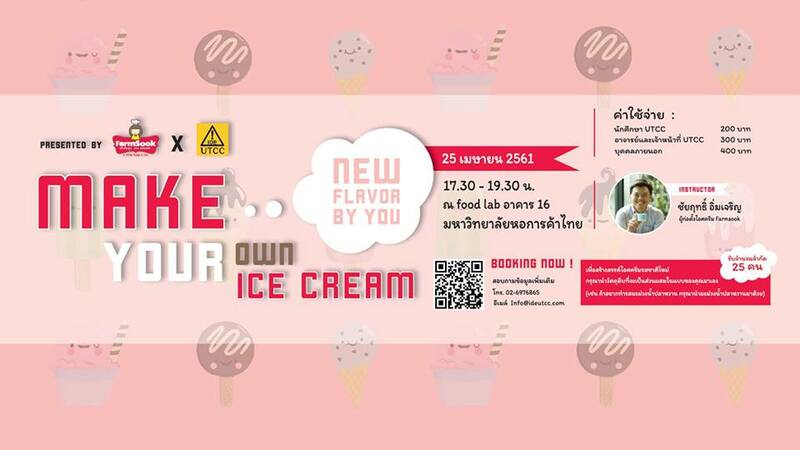 This event you will learn a lot of “how to” from the founder of Farmsook Ice cream brand (Mr. Chairit Imcharoen). He will share his experience through practice as well as to talk about ice cream business. The event will be held on Wednesday from 17:30 – 19:30. In order to get more fun! every participants must bring their own raw materials (your designed and desire falvour) from home. This is the challenge that you need to share and game with your friends at the food lab.